At Terralsole, we occasionally host interns and exceptional people in the business looking for experience in a working winery. In 2017, we were lucky to have Jacqueline Ouellet stay with us and the following article is the result of her interview with Athena Tergis Bollag, co-owner and wife of winemaker Mario Bollag, about the changes she’s seen in vineyard management in Montalcino over the past 15 years. 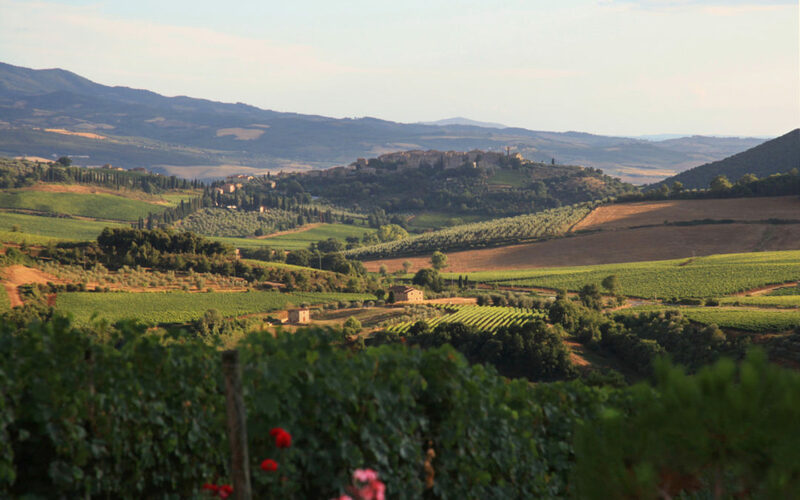 I arrived first in Montalcino in 2003 so I can only speak to what I’ve seen since then, but there has been a dramatic shift in vineyard management with the exponential growth of the organic movement here in Montalcino and in Italy in general. We, at Terralsole, have been practicing mostly organic vineyard management since the start and will complete our 3-year, official conversion process to receive biological certification within the 2018 season. While growing practices within the “biological” requirements vary drastically among Brunello producers, there is one trend to this movement, which I take a particular interest in; the widespread change of philosophy regarding working the soil. This approach requires much more care, time, and work in the vineyards than in the past when tractors did the bulk of the heavy lifting, but, the results are clear: vineyards are healthier, and more vigorous, even given the extreme drought of the 2017 season (see our Harvest Report for more…) and the wines are concentrated, complex and balanced. In the past, vineyards (including our own) tilled their soil often to break up the clay and make the soil finer to assist in delivering minerals and nutrients to the roots. Over the past 5 years, we have changed our focus from working the soil to preserving the life within the soil, cultivating a healthy indigenous eco system within each row. I tried your Brunellos Riserva 2010 tonight and was amazed at the quality of your wine. I have the great honour of being named Texas Poet Laureate in 2010, so I chose the 2010 year! Should you ever want to combine poetry with your wine, please let me know! My daughter works in Cortona!